Peter Worobey, son of Anthoni Worobey and Fedora Halko, was born in Grodno, Russia, probably in the village of Suchinichi (where Jacob Tereshko was born) per his 1917 U. S. World War I Draft Registration form which is difficult to read. His Russian given name was Prokopy, per his signature on his WWI draft registraction card, or Prokopiy, per his 1913 marriage record. He came to America in 1909 or 1910 per the census records; his immigration ship’s manifest has not been found. He does not appear to be in Westford in the 1910 census (effective as of April 15, 1910), although Philip Worobey and family are in Westford, having immigrated in 1906. Peter sailed for America on the S.S. President Lincoln sailing from Hamburg, Germany, June 19, 1910, and arriving in New York on June 30. His name is given as Prokopi Worebei on the ship’s manifist, age 18, a farmer, whose last residence and birthplace was Troquenckowa (also given as Trockenckowa), Russia. He gives his mother, Fedor Worebei, as his closest relative in Troquenckowa. He appears to have been traveling alone. Peter married Mary Kostechko, born in Russia about 1893, on February 15, 1913, in Boston, although both were residents of Westford and the marriage is given in the Westford records. They had one daughter, Sophia “Sophie” (1913-2003) who married Francis T. McAllister in 1935. Peter’s wife, Marry died April 27, 1941. Peter lived to be 100 years old, dying March 15, 1991, in Westford. 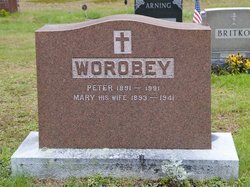 Peter had a sister, Evodkia “Alexandria” Worobey, who was born Dec. 23, 1893 in Grodno, Russia, and also came to Westford. She married William Minko (1893-1977), of Grodno, on May 20, 1916, at the Russian Orthodox Church in Lawrence. They had two sons and two daughters all born in Westford. Evdokia died September 26, 1986 in Westford. Peter became a citizen of the U.S. on October 21, 1935, at the U.S. District Court at Boston, Mass., per the U.S. Naturalization Records Indexes, 1794-1995. His actual citizenship papers are not yet on line. 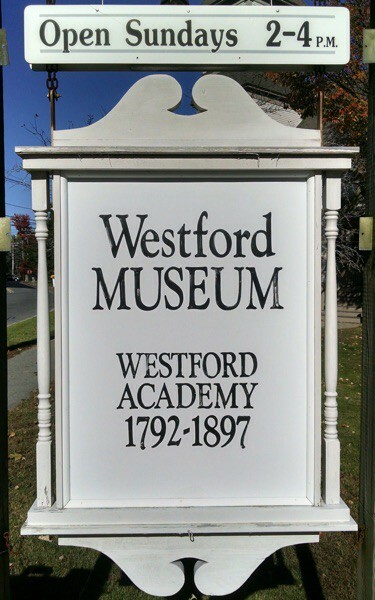 Peter was likely related to three other Worobey families who were in Westford by 1910. Phillip Worobey (1882-1955), mentioned above was born in Suchinichi, Grodno, the son of Michael Worobey and his wife Annie. Philip married about 1909 Anastasia Barbiech [also given as Esther Bavish) (1888-1932), and they had three daughters born in Westford who all married. Fedor Worobey, born about 1886 in Russia, the son of Michael Worobey and Annie Tataias, married Theni Kostesko, born about 1892 in Russian, on February 1, 1913, in Boston. Both were of Westford at the time of marriage, and their marriage was just two weeks before that of Peter and Mary. Fedor may have been a brother of Philip. Little more could be found about him. Andrew Worobey (1891-1975) was born in Grodno, the son of Joseph Worobey and Anna Marik (also given as Anastasia Tereshko in Andrew’s obituary). He married Ackshania “Annie” Belida (1892-1976), also of Grodno, on May 10, 1913, in Boston. Their daughter, Anastasia “Nellie” Worobey (1919- ) married Marshall Dean of Lexington. A son, Joseph Worobey, probably named for his grandfather, died in infancy in April 1923 in Westford. Peter, Philip, and Andrew Worobey and their wives, Eudokia Worobey and William Minko are all buried in the Russian Brotherhood Cemetery. Peter served on the board of the cemetery for many years.